Jacqui made a visit to a hairdressers in Dijon before breakfast. True. Really. Then we went shopping for a handbag. Didn’t buy one (not the right shade of yellow) nor any mustard (despite Dijon mustard coming in every conceivable flavour). Then we hit the road. Now in Aix-les-Bains where we have a lakeside hotel with a hillside view. Very hot today but the beer’s chilled so all good. 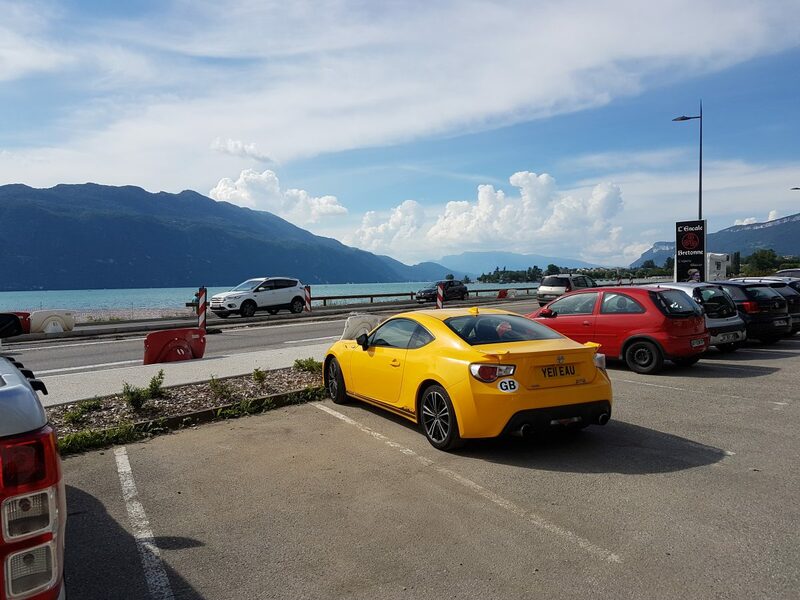 The barman likes the GT86 (he’s never seen one before) and has a million French questions I can’t understand. I offered to show him the motor. I might as well have been speaking Russian. I oppened the bonnet and he said Ah! Le motor. Previous Previous post: To Italy and Back Day 1.